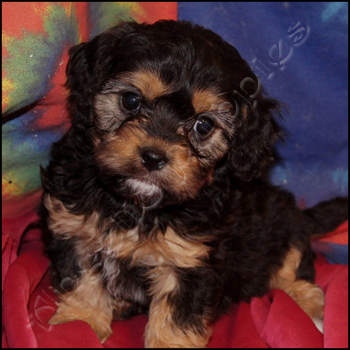 _Our Designer Breeds are bred from purebred registered parents so we have only F1 or first generation crosses. 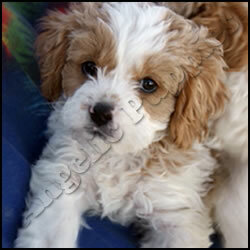 A cross between the King Charles Cavalier Spaniel and a Bichon Frise, the Cavachon's temperament reflects the sweet, friendly, non-agressive and intelligent nature that is the hallmark of both breeds. 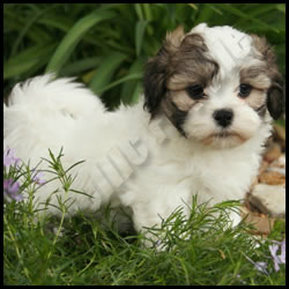 Cavachons are fluffy, low shedding, hypoallergenic little dogs that range in size between 8 - 20 lbs. 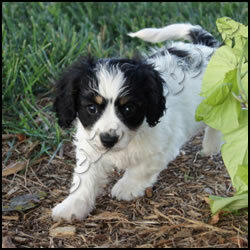 Cavachons do well with families that have children as well as with elderly owners. 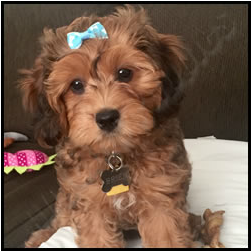 _A cross between the King Charles Cavalier Spaniel and the Poodle, the Cavapoo has all the sweetness of the Cavalier with the intelligence and hypoallergenic benefits of the poodle. Cavapoos are low to non-shedding and come in many sizes and colors with varying coat types: wavy, curly to flat and straight. 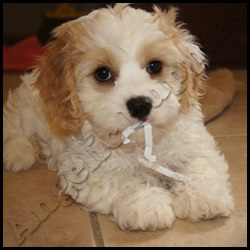 Cavapoos are great for people with allergies and are very sweet and easy to train making them a great family pet. 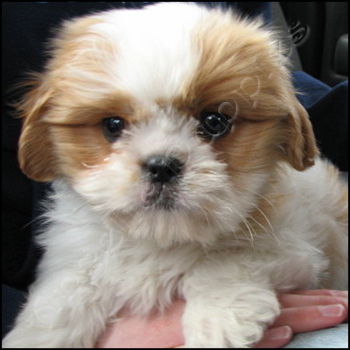 _A cross between a King Charles Cavalier Spaniel and a Shih Tzu, their lively spirit makes the Cavatzu great pets and companions. The Cavatzu enjoys the careful playfulness of children and a warm lap to cuddle on. 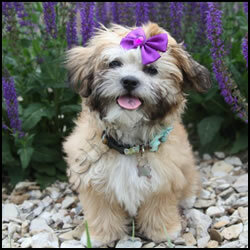 Cavatzus have a beautiful silky coat of many colors and a sturdy frame that can vary in size betwen 8 - 18 lbs. Cavatzus are minimal to non-shedding and they need moderate exercise. 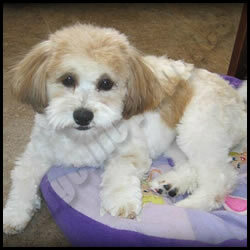 Cross between the Shih tzu and the Bichon Frise. Excellent with children, elderly and other pets. They have a mild nature and are not hyper. Size depends on the parents, average from 10 to 15 pounds. They come in a variety of colors. 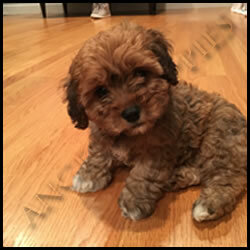 Regular brushing is also a good idea, as it helps to keep the dog’s hair clean and free from unsightly tangles. Non-shedding and are great companions, even for those with allergies. 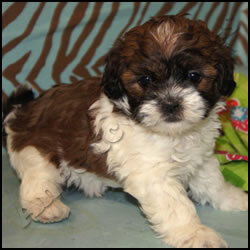 _A cross between a Shih Tzu and Poodle, the Shihpoo is energetic and playful making them a great addition to a family with children. 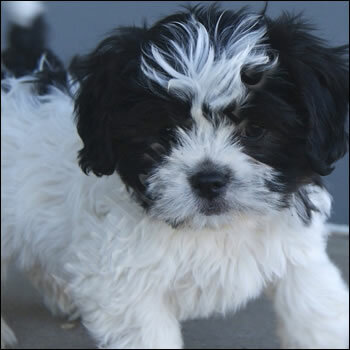 Shihpoos typically have a long coat which can come in a variety of colors with hair that can be straight, wavy or poodle like curly. 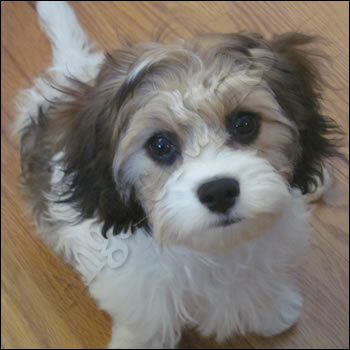 Shihpoos can vary in size but usually weigh around 10 lbs. 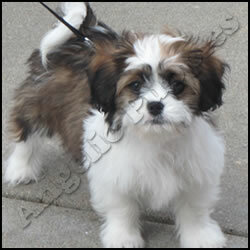 Shihpoos do not shed much and should be trimmed on a monthly basis to keep their coat from matting. Regular brushing is also a good idea, as it helps to keep the dog’s hair clean and free from unsightly tangles. They don't need to be bathed often, as they are naturally clean.